The Baja 5B, simply the most popular 1/5 chassis to date. 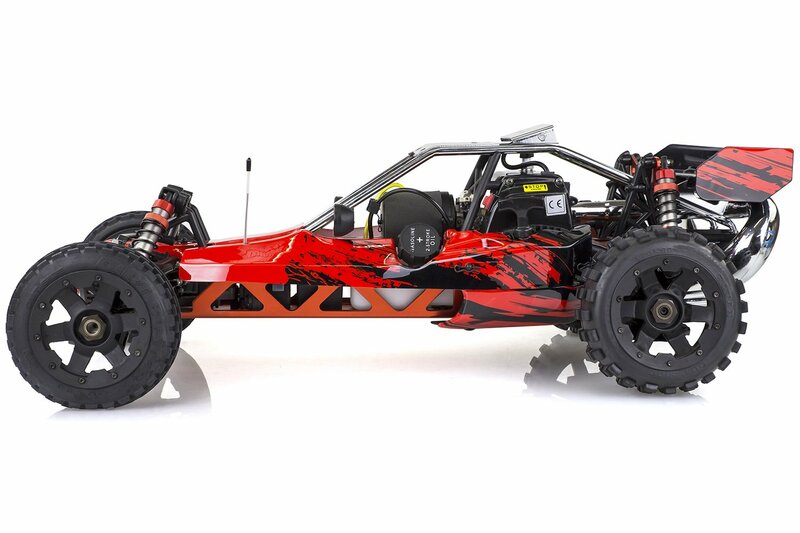 Compatible with 99% of the parts from the original HPI Baja 5B. Unlike the original, Rovan has pre-installed a 29cc 4-bolt petrol engine with a Dominator style tuned exhaust pipe for that extra power we're all looking for! On top of the power increase, Rovan made the drive shafts 33% larger, installed an aluminium clutch mount, steel roll cage, sway bars, MX rear tyres, NGK spark plug, Walbro carburetor and a 45kg steering servo! 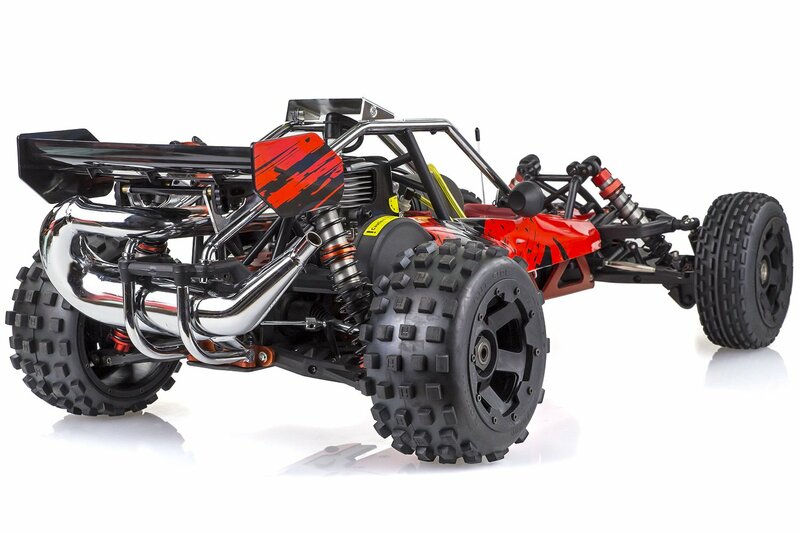 To power, this huge 1/5 RC car is this massive 29cc 4-bolt engine with an NGK CMR7H spark plug & a Walbro carburetor to give you the best performance and reliability. Pre-installed is a steel tuned exhaust pipe that increases the performance by 17%! 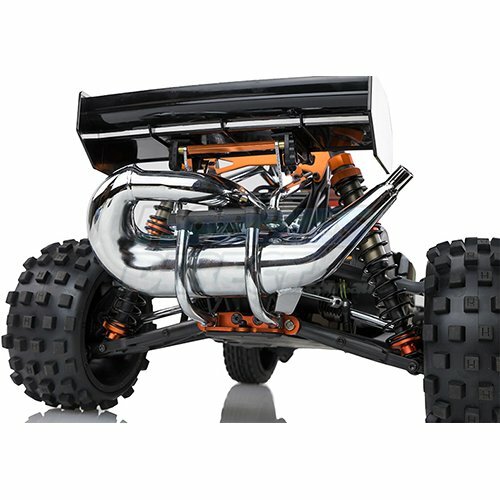 This pipe has a crisp note that adds attitude to your Baja 5B. 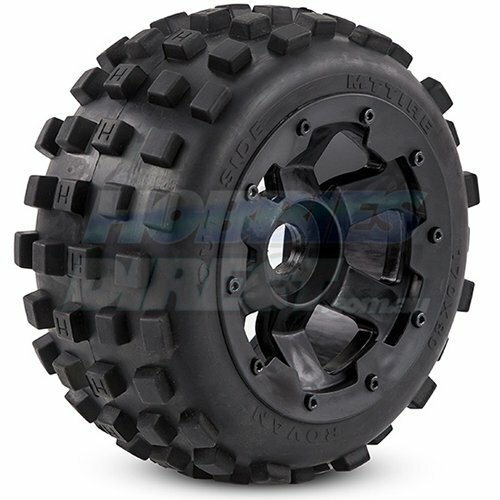 Just like a high-performance dirt bike, this beast grips its terrain with these extreme motor cross tyres! 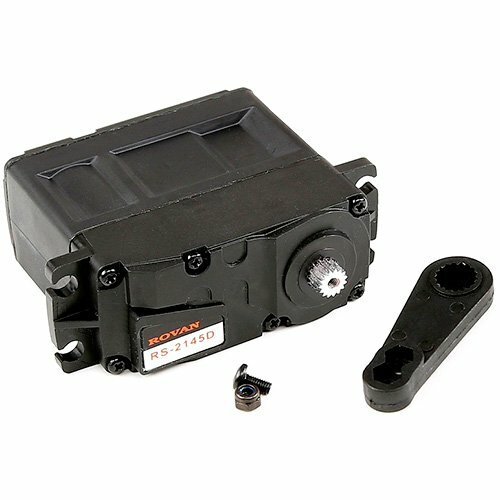 Rovan has drastically improved the steering power of the Baja 5B with a whole new servo that has metal gears and outputs 45kg of torque! 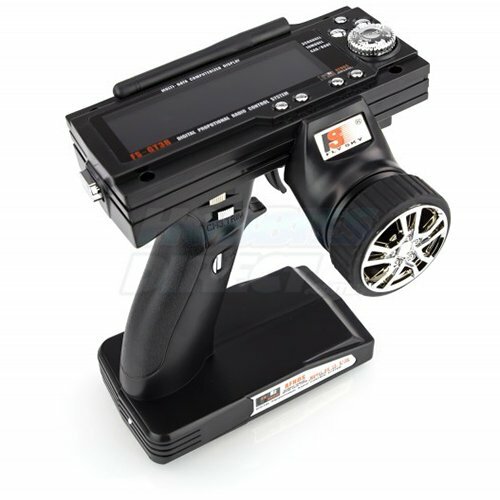 Drive with precision with the FlySky GT3B transmitter! Featuring an LCD display, 3 channel, 10 model memory, servo end points. 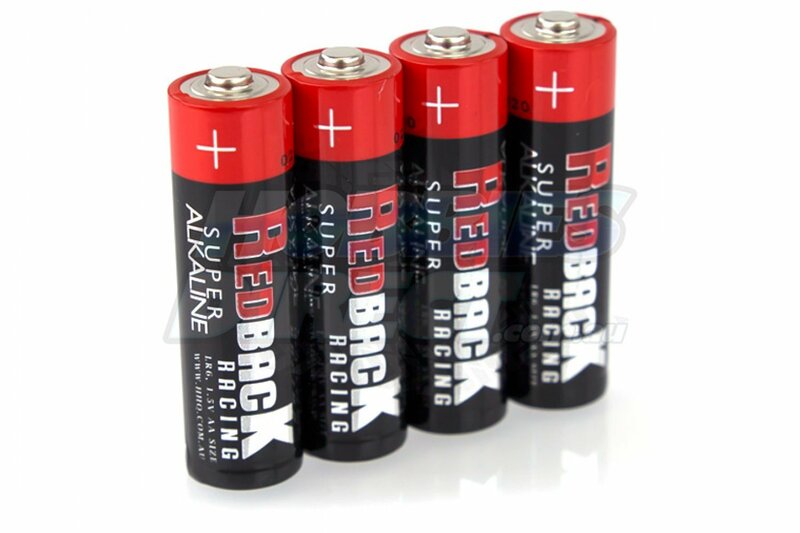 Also, the included receiver has a built in fail-safe so if something does happen to the signal (like a flat battery) the car will just roll to a stop. 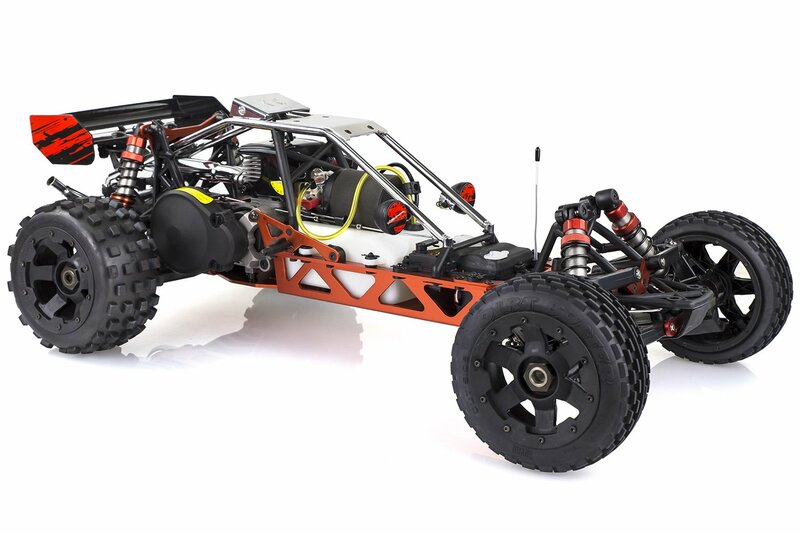 The Rovan & HPI Baja 5B is 99% which means when you're purchasing a replacement part you'll have the option of purchasing a Rovan or a genuine HPI. On top of that, most of the aftermarket parts such as RPM RC will fit also. 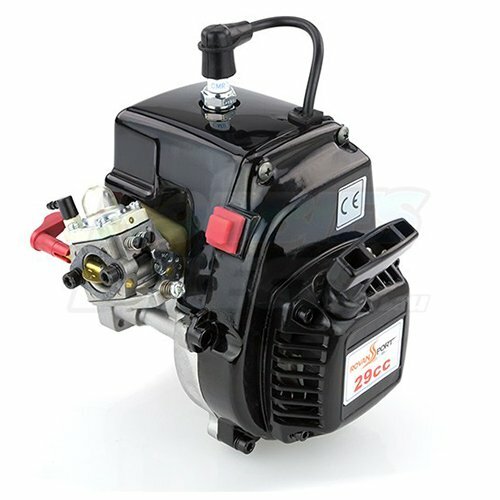 Hobbies Direct™ stocks a huge range of standard and optional spare parts for the Rovan Baja 5B 29cc, we actively carry and support the Baja 5B with all the OEM Rovan Sports spare parts and accessories available from Rovan Sports, but we don't stop there! We understand as RC hobby enthusiast ourselves that it's important to be able to shop with confidence online, so you know you're getting the right parts for your RC Baja 5B that's why Hobbies Direct™ built the unique "RC Parts Finder" to help make sure you get that piece of mind when ordering replacement parts online so you can get your Rovan Baja 5B back up and running ASAP! We also work closely with all our suppliers to offer the lowest prices year-round on both Rovan Baja 5B spare parts and aftermarket upgrade parts. 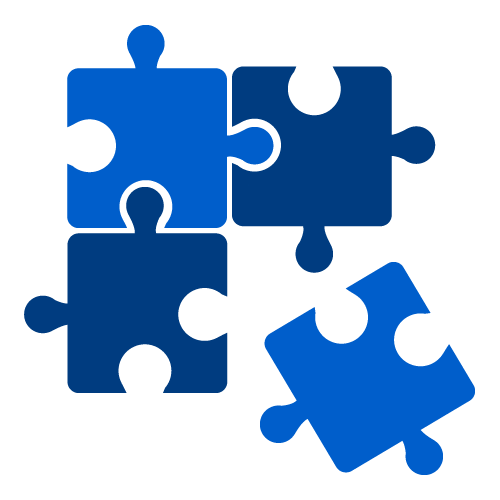 Make sure to check out the "Optional" & "Aftermarket" tab's (located above) in our RC parts finder as it makes online browsing even easier and enables anyone to browse thousands of parts with confidence all at the click of a button. Pimp out your Rovan Baja 5B with our wide range of genuine Rovan Sports parts along with many other aftermarket upgrade part brands that are all designed to fit the Rovan Baja 5B. 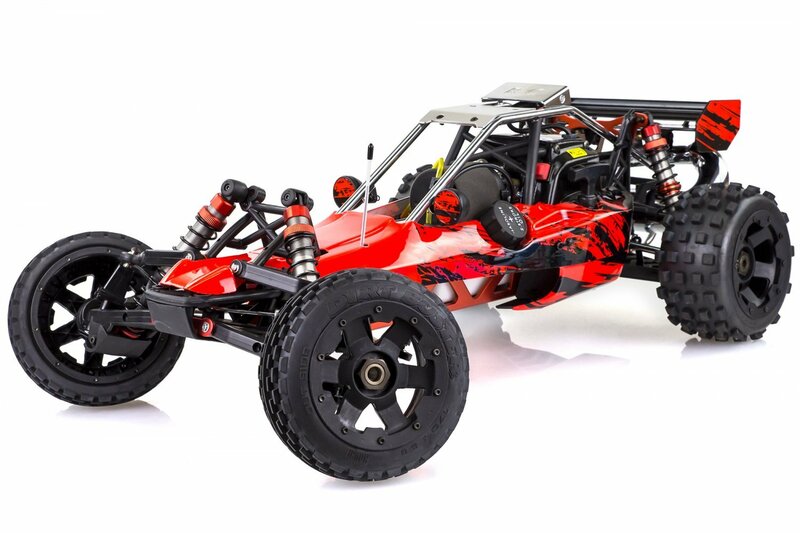 We stock all Rovan Sport upgrade parts for the Rovan Baja 5B so you can hop up your RC Baja buggy with confidence knowing that you're installing genuine OEM Rovan Sports parts. Hobbies Direct™ is one of Australia's largest Rovan Sports stockiest, receiving regular shipments from Rovan to bring you the latest RC 1/5 products and have everything from upgrade engines, power pipes, remote kill switches, steering and throttle servo's, symmetrical steering kits, roll cages, aluminium chassis braces & much, much more! So no matter what you're looking for, we're sure to have the right upgrades for Rovan Baja 5B 29cc! 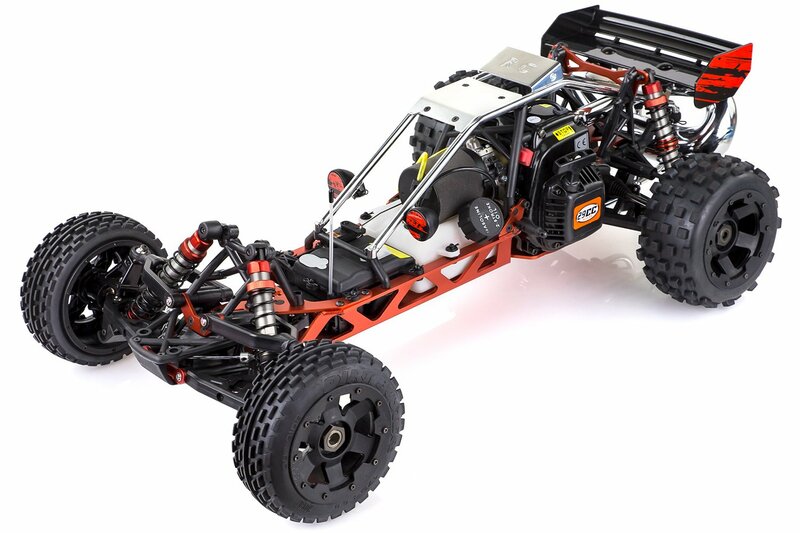 The RC 1/5 Baja 5B is to this day, one of the most popular 1/5 RC platforms/chassis! Thanks to the early success of Baja 5B, the list of aftermarket brands and upgrade parts for the Rovan Baja 5B is huge, whether you're looking for more power for weekend bashing or after suspension parts to improve handling Hobbies Direct™ is sure to have the right parts. From years of our own experience both racing and bashing and along with our loyal customers feedback we stock a huge range of aftermarket brands such as Area RC, Integy, King Motors, Pro-Line Racing, Outerwears, RPM RC, Zenoah Engines, Louise, Savox Servo's, Hilantronics, Futaba, Spektrum and many more! 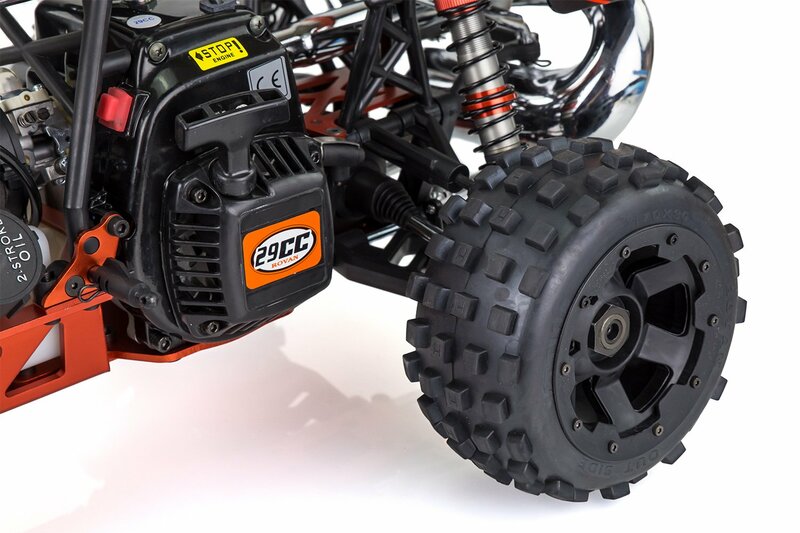 So you'll have not one but multiple options when customising and tuning your RC Rovan Baja 5B 29cc.